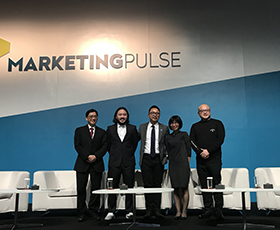 On 20th of June, the 2nd MarketingPulse Forum, organized by the Hong Kong Trade Development Council, was held for the first time with participation of Jiangxiaobai at the Hong Kong Convention and Exhibition Centre. 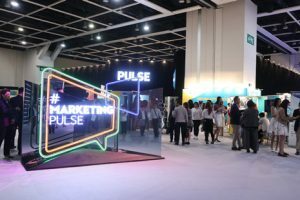 This year, the forum attracted more than 50 chief marketing officers, top creators in advertising, and digital marketing experts from 9 countries and regions. 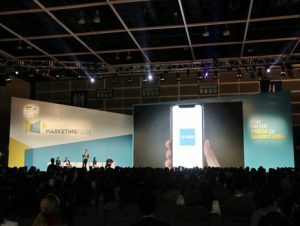 More than 1,400 professional visitors came to witness the vast offer of marketing-related talks. 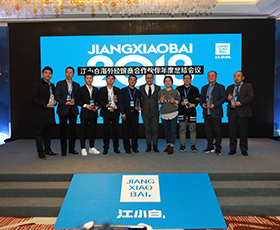 International Department Director at Jiangxiaobai, Zoe Fu, was invited to present the success story of how Jiangxiaobai turned baijiu into a hit among Generation Z.
China’s Gen Z is highly active on social platforms, pursues and creates unique fashion trends, and is a group with huge consumption power. In recent years, Jiangxiaobai has broken the stereotype of traditional Chinese baijiu and won the love of young Chinese consumers with its dashing brand image, diversified consumption scenarios and refreshing taste. Creating and spreading creative content, Jiangxiaobai has quickly found resonance with younger consumers and gave them a brand new understanding of Chinese liquor. Since then, Jiangxiaobai has further narrowed the gap between baijiu and younger population segments by holding a series of brand activities. Large-scale events like JOY IN BOTTLE International Graffiti Competition, YOLO Youth Culture Festival (hip hop concert series) and Just Battle (street dance competition) are exploring areas remote from traditional Chinese baijiu, and therefore setting up a very distinctive brand image for Jiangxiaobai. Focusing on emotions and real connection has helped Jiangxiaobai to become the most popular brand in the Chinese Mainland in the past few years, and its success has attracted extensive attention and research in the industry. Following Zoe Fu’s vision, Jiangxiaobai will fully enter the Hong Kong market and regard Hong Kong as a frontier of its global market. Making Jiangxiaobai a part of daily consumption scenarios in the life of Hong Kong’s young people is a strategic priority. 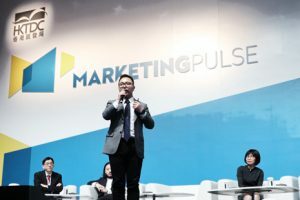 Even though marketing methods applied in Mainland China do not necessarily translate to the Hong Kong market, Hong Kong’s multicultural background and cosmopolitan young generation provide important prerequisites to gain marketing data for Jiangxiaobai’s global approach. As part of the global strategy, Jiangxiaobai officially adopted mixed drink programme Jiang Mix. It is not a new concept to use cocktails to promote Chinese baijiu in the West, however, Jiangxiaobai made it a priority. 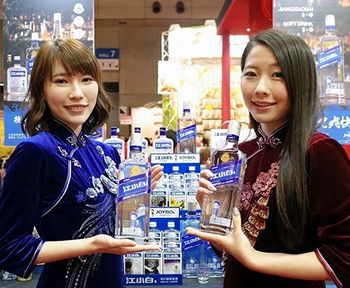 Not only is Jiang Mix showing the importance of brand diversification, but also paving the way for the whole Chinese baijiu industry to go international.